February 11, 2015 -- Progress Thailand We've seen several incredible projects headed by equally incredible teams of people working hard to solve real problems with real, tangible solutions. Everything from reducing the costs of and dependency on chemical fertilizers, to bringing electricity and cooking gas to Thailand's most remote regions, to developing cheap, open source tools for precision agriculture, is being worked on and spread across Thailand's 76 provinces. 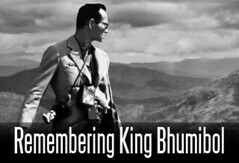 Small Tech Centers could be established in districts across Thailand with a simple computer and Internet connection and perhaps basic presentation technology to help spread ideas being developed elsewhere in the country without requiring teams and specialists to waste time traveling to all 76 of Thailand's provinces. Eventually, these district experts will make their own breakthroughs, and knowledge will begin flowing both ways. At least two projects have begun conducting "clinics" where trained professionals travel the country, assisting local communities in the use of technology to improve their lives. Dr. Prateep Verapattananirund has invited us to at least 2 events -- a talk in Chainat and a soil clinic in Saraburi -- to show us the work he and the network he works with are doing. By testing soil samples brought to the clinic for nutrient testing, farmers can finely tune their fertilizer use, usually reducing costs by as much as 50%. Proof of concept is no longer an issue. The next step is figuring out a way to spread this technique, as well as finding a way to continuously update and improve the process. Eventually, eliminating dependency on chemical fertilizers altogether may be a possibility, but only if knowledge, news, and techniques can be easily shared. The team behind the solar/biogas grid in Pa Deng, Phetchaburi also travels the country extensively to share their knowledge and help communities either establish, improve, or repair their alternative energy infrastructure. The amount of time, energy, and resources spent traveling could be significantly reduced if there was an established network leveraging the latest in communication technology to bring their words and wisdom across the country at lightspeed. And while some of the precision agriculture tools we've covered in the past are still in the developmental phase, when they go online, their adoption and proliferation will also face the same challenges. We already discussed mobile precision agriculture services that could be set up in each district or even village, were otherwise expensive and technically complicated tools could not be afforded or used by individual farmers. The service provider, not unlike operators of large, expensive harvesting machines already common in rural Thailand, would collect fees in exchange for analyzing soil, mapping fields, setting up mobile weather stations, and automated, solar-powered agricultural equipment like irrigation pumps. What if together with this service was a tech center -- a simple building (newly built or already existing) with little more than an Internet connection, a computer, and a meeting room where in addition to providing services for local farmers, service providers could connect with innovators and leaders in respective fields working to improve the tools these service providers use. Conferences and consolations can be conducted online, allowing innovators to spend the majority of their time either innovating, or sharing their innovations rather than traveling. The creation of tech centers also encourages the creation of local innovation leaders and encourages a culture of problem solvers based on collaboration. A central Bangkok-based forum would gather intellectual and technological resources to disseminate to provincial and district Tech Centers. Each Tech Center would include a core platform allowing it to communicate with others and Bangkok, and also include modules that are developed specifically for their surrounding communities. 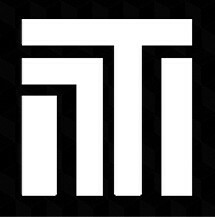 The main feature of the tech center network is not necessarily the ordinary technology that connects it with others, but rather the actual people and purpose behind it. 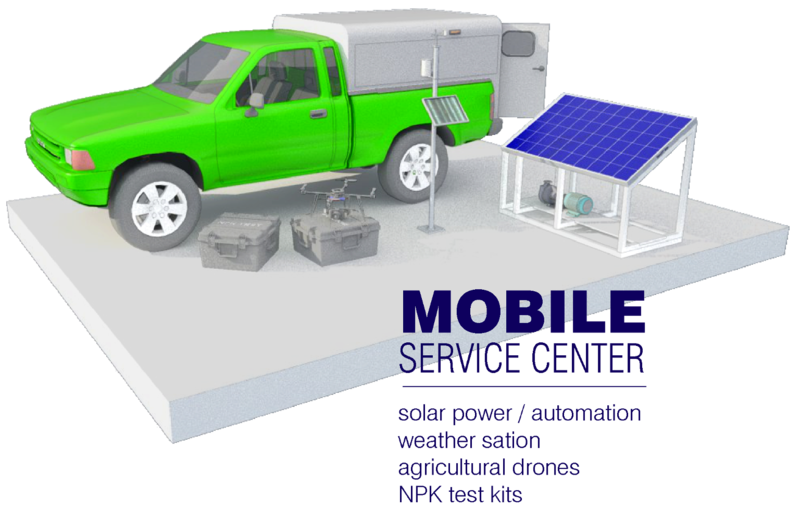 For both "soil clinics" and "solar clinics," a next possible step could be establishing 2 or 3 district tech centers to demonstrate two important points. First, that a tech center providing services locally can be profitable, thus spurring others to voluntarily invest in and create additional centers. And second, to show the merits of connecting together a national network of practical technical problem solving. 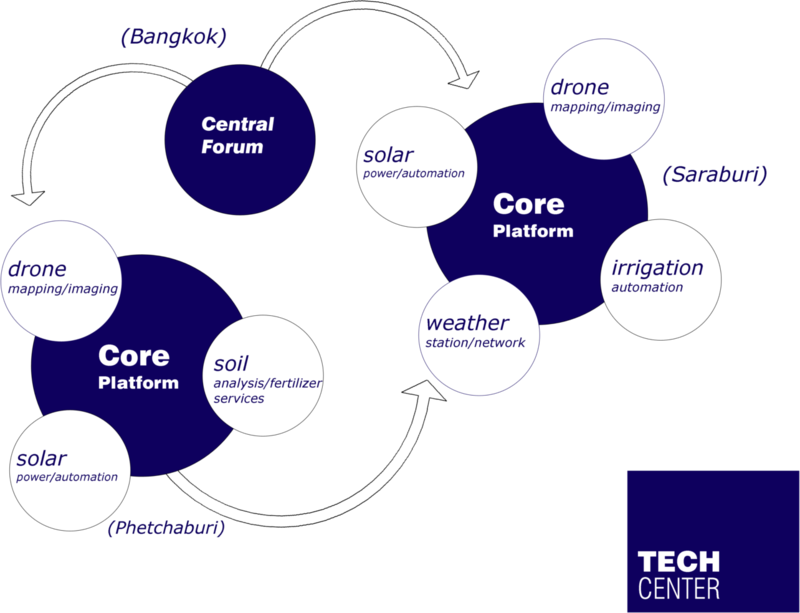 Soil and solar "sessions" conducted at a tech center in Saraburi, but broadcast from Phetchaburi or Bangkok, would be a good first "proof of concept." The diversity and flexibility of these tech centers as services and as an educational and communication hub will be key to their long-term survival and appeal to investors and institutions seeking to donate money toward real solutions. In the future, we may even imagine a Thai version of MIT's very successful "Fab Lab" network that is now an international network. Fab Labs are tech centers to the extreme, where local schools, designers, and engineers can work on projects using cutting edge personal manufacturing technology like CNC machining, laser cutters, and 3D printing. Virtually any idea to solve any given problem can be fabricated at a "Fab Lab." District tech centers might evolve into a similar network, unlocking limitless possibilities for improving and enriching the lives of the communities they are built in.